Why disaster awareness and preparedness matter and what role for ecosystems? In recognition of the need to identify and protect open spaces to save lives from disasters like the 2015 earthquake, Nepalese DRR planners call for the creation and protection of urban parks. Not only can parks provide refuge to people in the event of a disaster, they can also provide additional space for leisure and cultural activities. While municipalities are restricting construction on particular sites, protecting such spaces for DRR remains a challenge due to encroachment. Read the story here. Mangrove forests are crucial to protect coastal communities from sea-level rise and storms, and provide other benefits such as habitats for marine species. 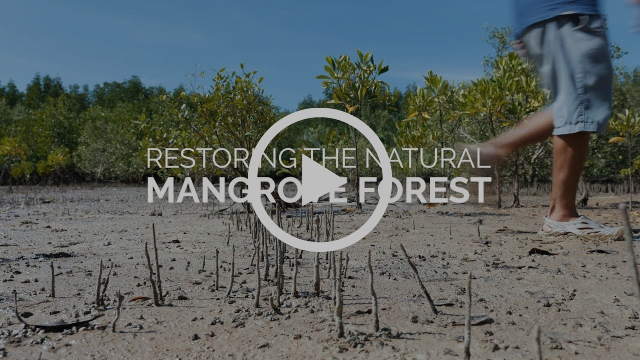 The Mangrove Action Project (MAP) recently launched a new video on their natural mangrove forest restoration project in Thailand. The video highlights the need for mangrove restoration and the importance of coastal community participation in the process. A new article from Scientific American highlights how marshes, mangroves, oyster and coral reefs are better able to protect shorelines than seawalls and bulkheads, as they are more resilient, cheaper and often regenerate on their own, while grey infrastructure for DRR imposes high maintenance costs. As scientists are rebuilding coastal wetlands, natural solutions are gaining more consideration and financial support from governments.